2017 is chugging steadily into its remaining two months as the end-of-year monsoons hit the region. 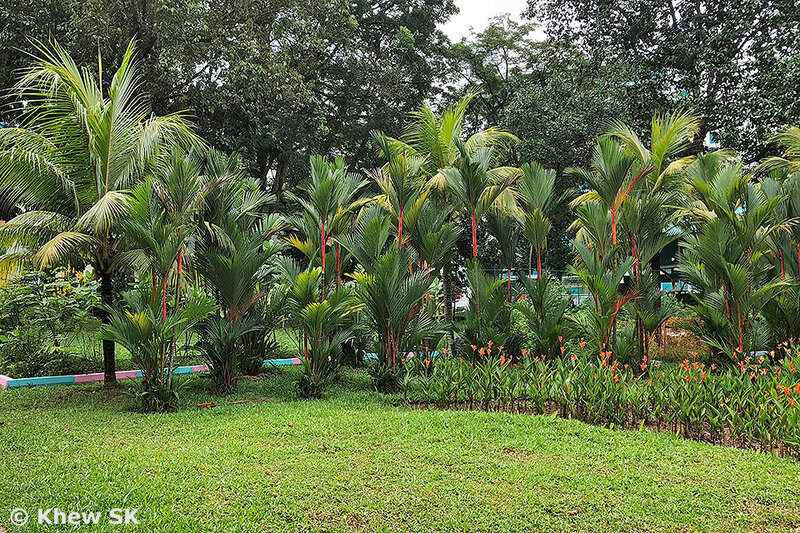 These days, the volume of rainfall coming down in a short time appears to challenge conventional design in drainage and hydraulic engineering. 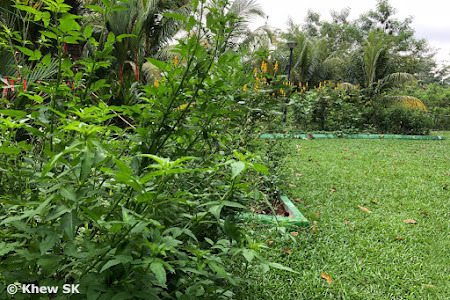 Coupled with high tides, the statistical probability of flooding in our urban environment is often much higher than predicted. 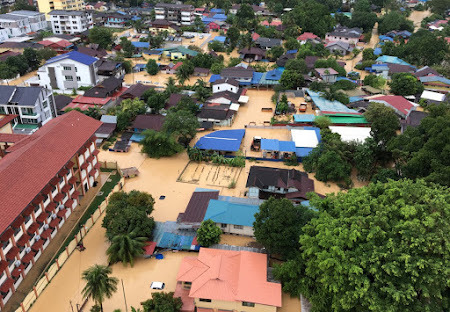 Recently, up north on the island of Penang in Malaysia, an unprecedented flood hit the city of Georgetown after being inundated with heavy rains for several hours. Photos and videos of the floods circulated widely on social media, as the state authorities struggled with evacuation plans and moving residents of low-lying areas to safety. 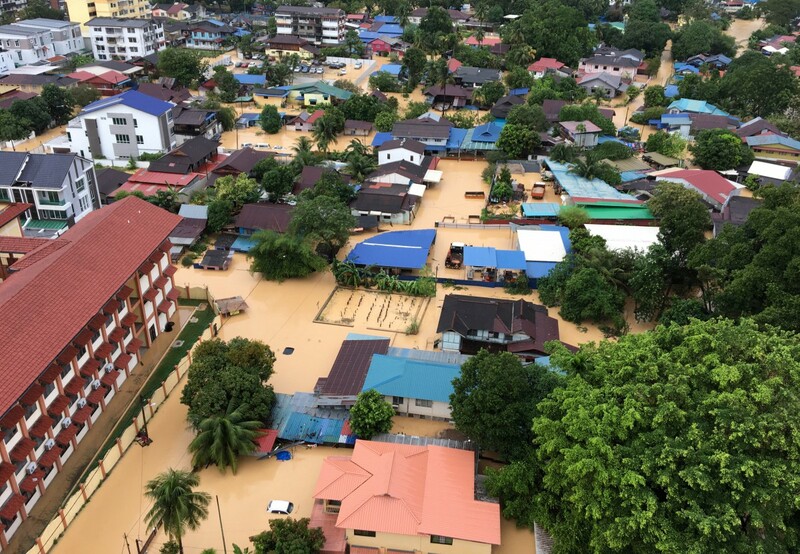 The early Nov flood had a rainfall of 315mm and the highest on record for Penang. 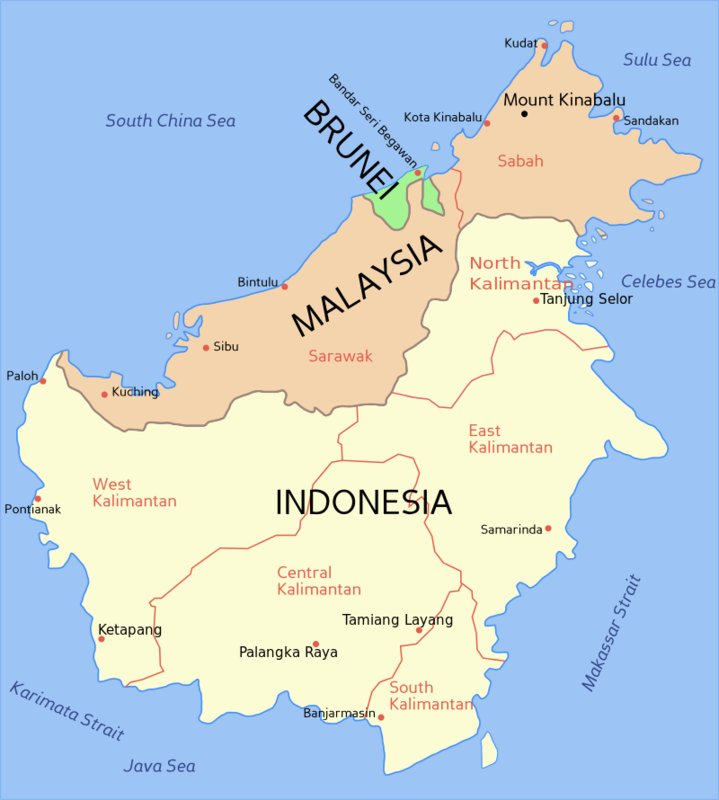 Sadly, seven people, mostly senior citizens, fell victim to the floods and the majority of these drowned in the rising waters. 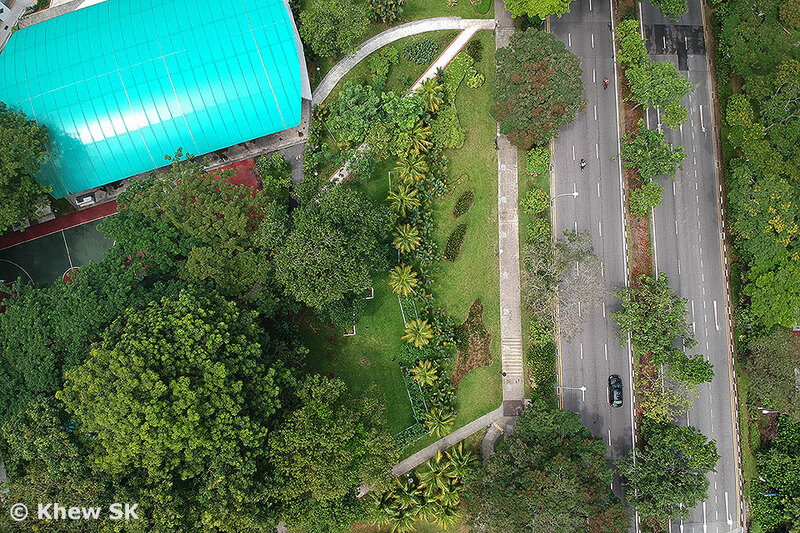 With the rapid urban development of Penang island, its existing drainage system, both natural and engineered, was unable to cope with the unexpected deluge of rainfall. As residents struggled to get back to their normal life, aerial photos of the Pearl of the Orient showed many areas covered with brown muddy waters and rubbish carried by the floods. 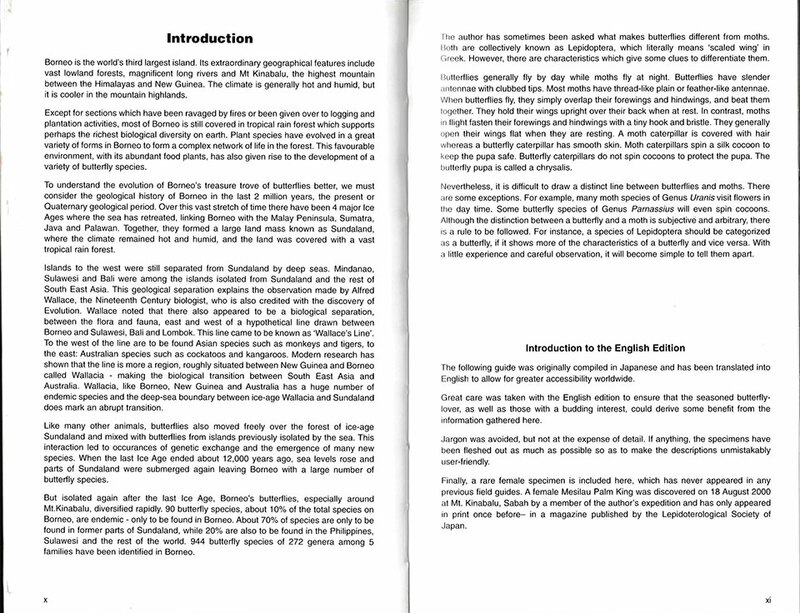 Many basement carparks in buildings were completely submerged, extensively damaging any vehicle unfortunate enough to be parked there. 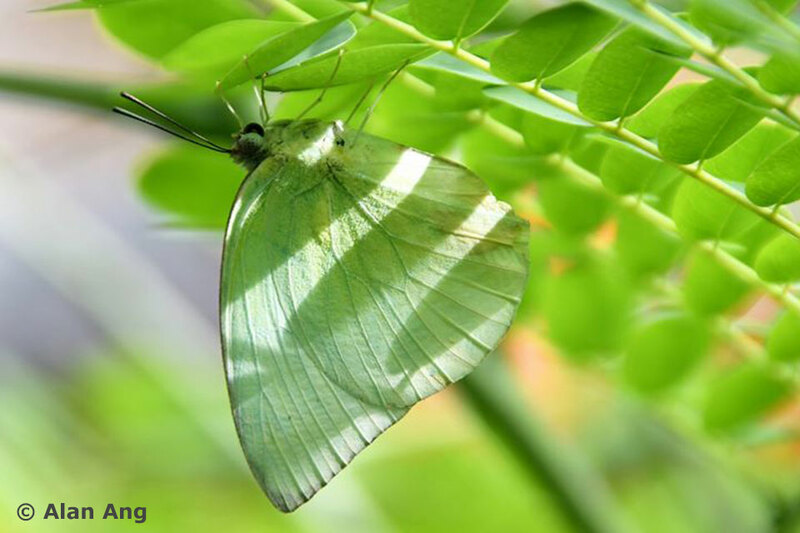 The consequences of climate change are here, despite some global leaders' refusal to believe that there are no problems with our environment. Back in Singapore, the weather has also been unforgiving. Daily rains, whether welcomed or otherwise, was a fact of life over the past month. On one such rainy day, the Mass Rapid Transit (MRT) tunnels flooded for the first time in its history, causing the train network on the N-S line to be shut down for about 20 hours. 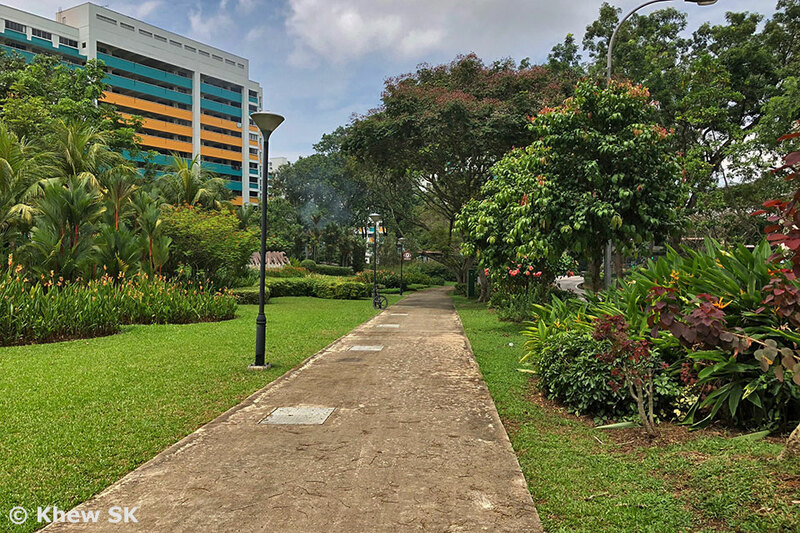 Social media erupted with criticism at the company responsible for running and maintaining the MRT system. 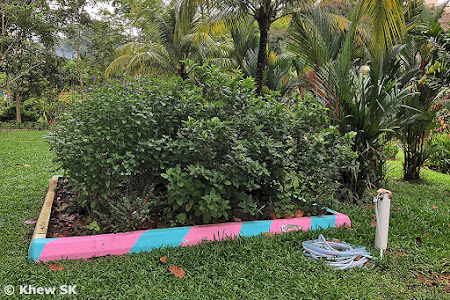 The problem was traced to a failed pump system which was not automatically activated as designed to do. 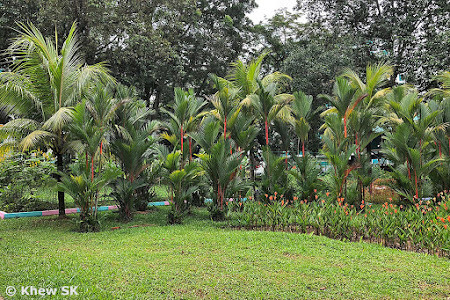 The MRT woes continued with more interruptions by recurring signalling faults and other unforeseen causes that created inconveniences and caused much public ire. 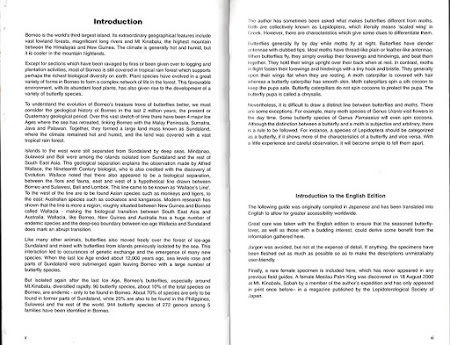 Just last week, another of such software faults caused injury to over 30 passengers when a train collided into a stationary train ahead of it. Even though the train was travelling at 16 km/h as reported, several passengers' injuries were severe enough to require hospitalisation. 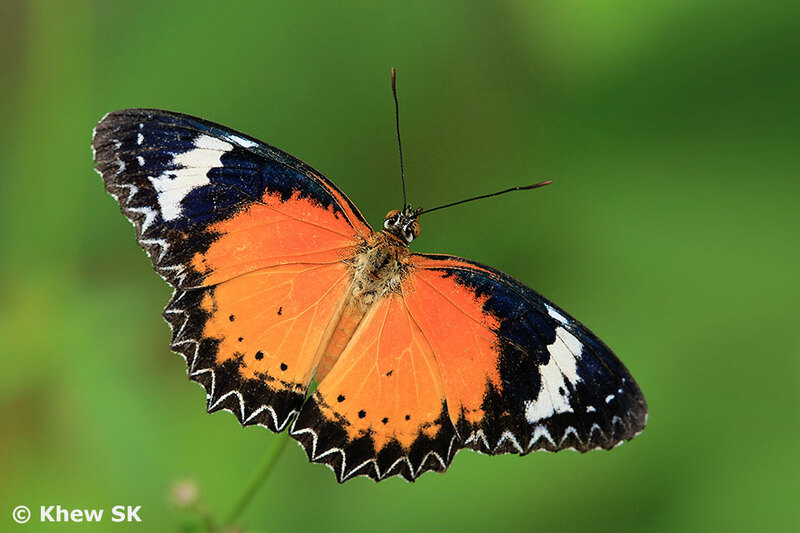 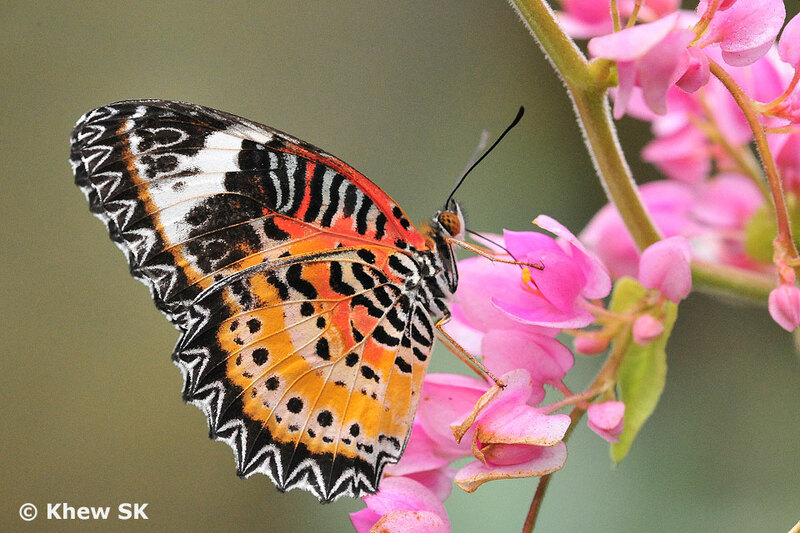 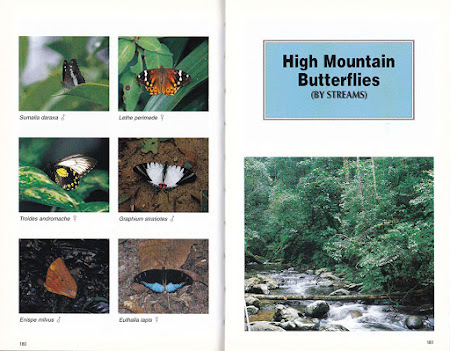 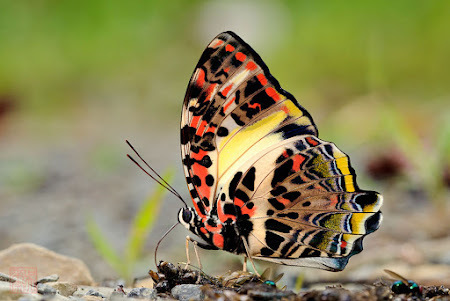 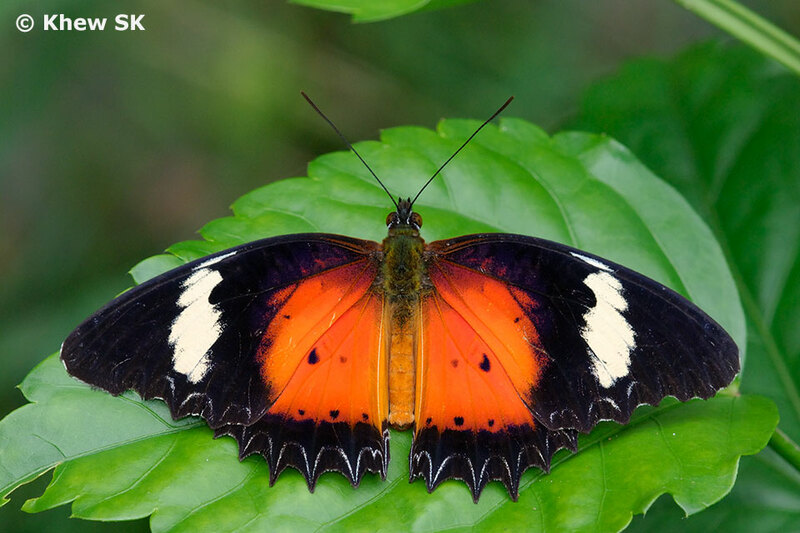 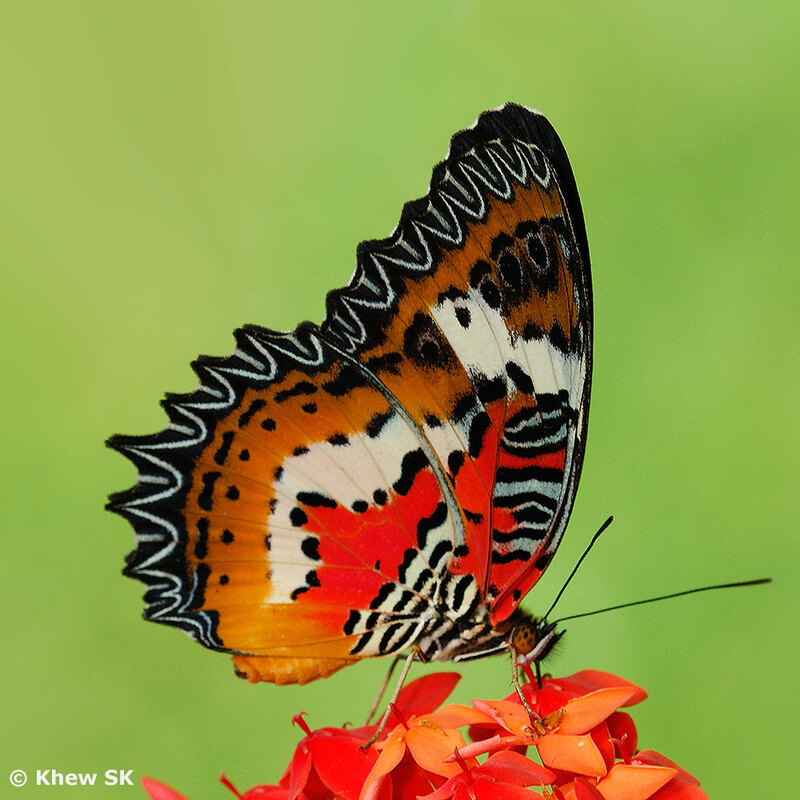 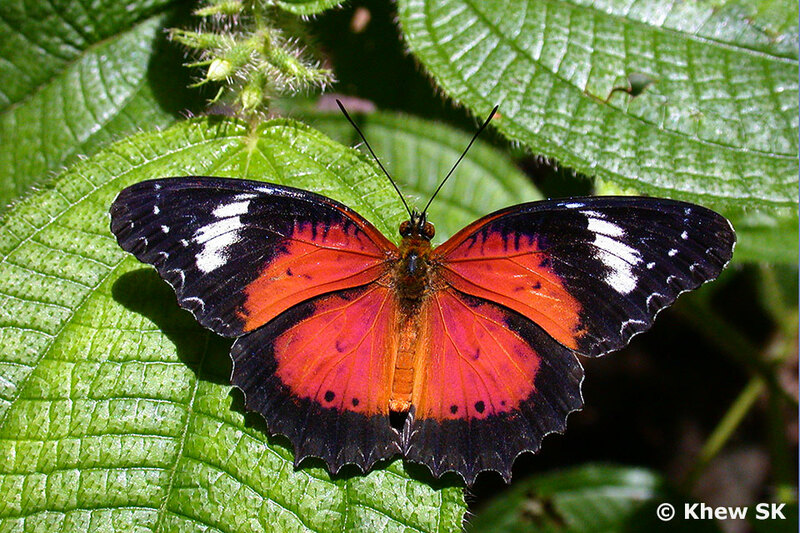 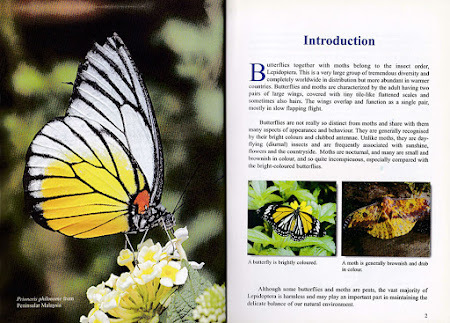 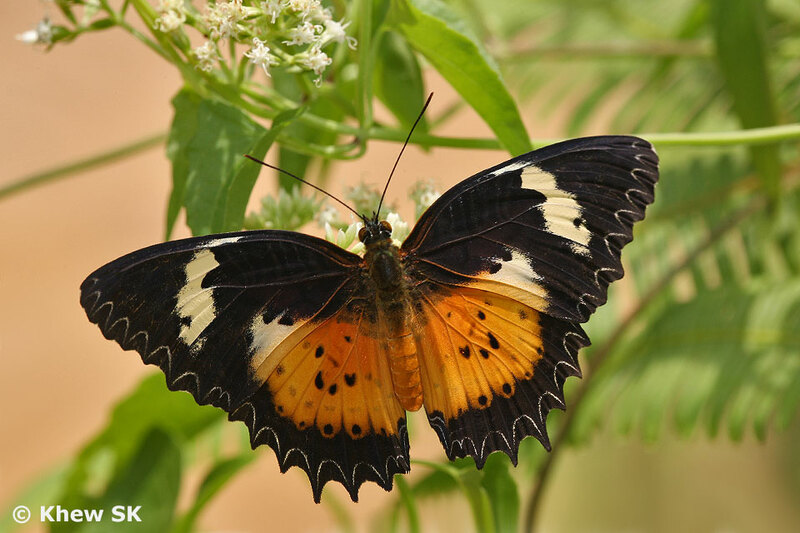 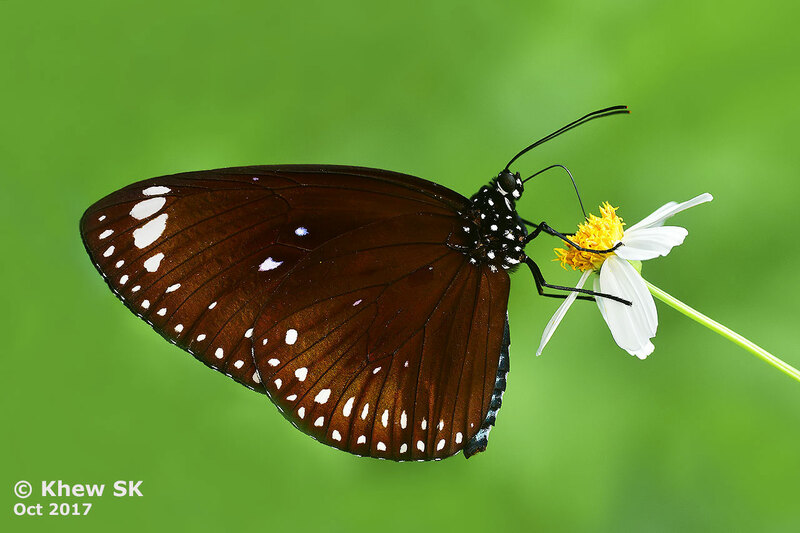 Back to our butterfly world, the rainy season has seen the usual drop in numbers of butterflies. 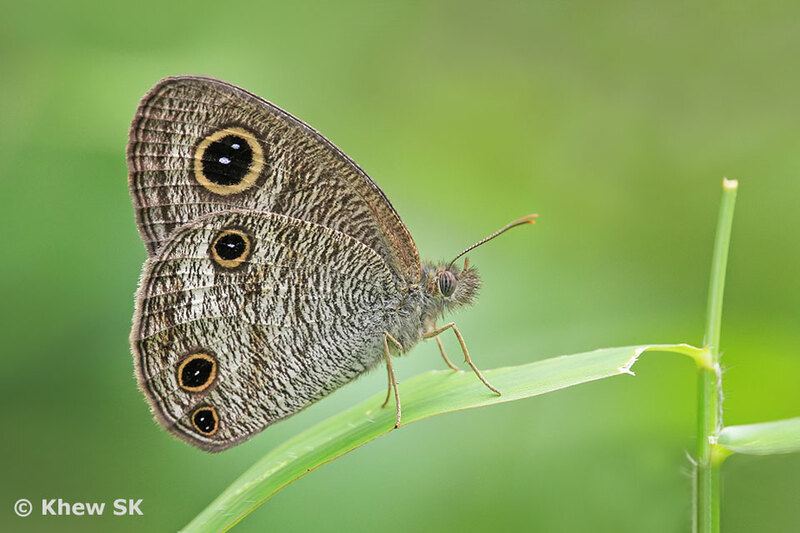 The inclement weather has also reduced the number of outings amongst butterfly watchers, and it's often a gamble (which we sometimes lose!) 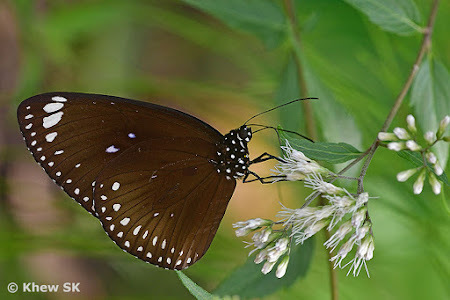 against the rain gods if we choose to head out to the forests for any butterfly watching activity. This month, we feature a rather drab and under-appreciated butterfly, the Common Three Ring (Ypthima pandocus corticaria). 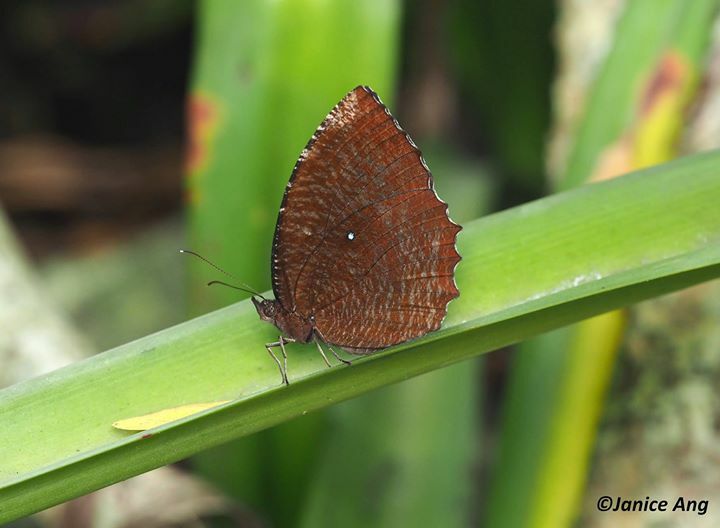 This species, from the sub-family Satyrinae or often collectively referred to as Browns and Arguses, was once a very common species in Singapore. However, in recent years, the species has become very localised, and not very widespread. 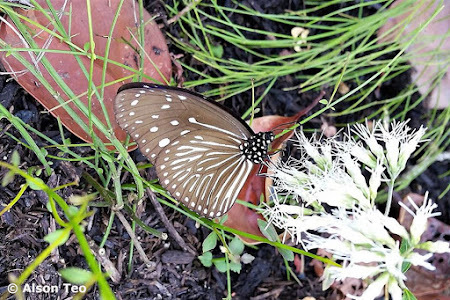 This may be due to the fact that its caterpillar host plant, Ischaemum muticum (Poaceae), a 'wild grass' is not as common as in the past. 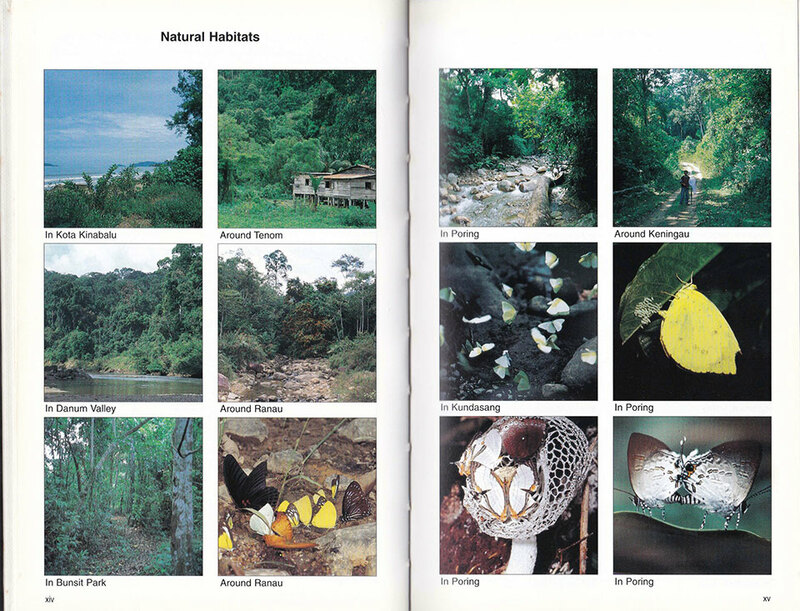 Or could it be due to habitat changes that are no longer conducive for this species to survive? 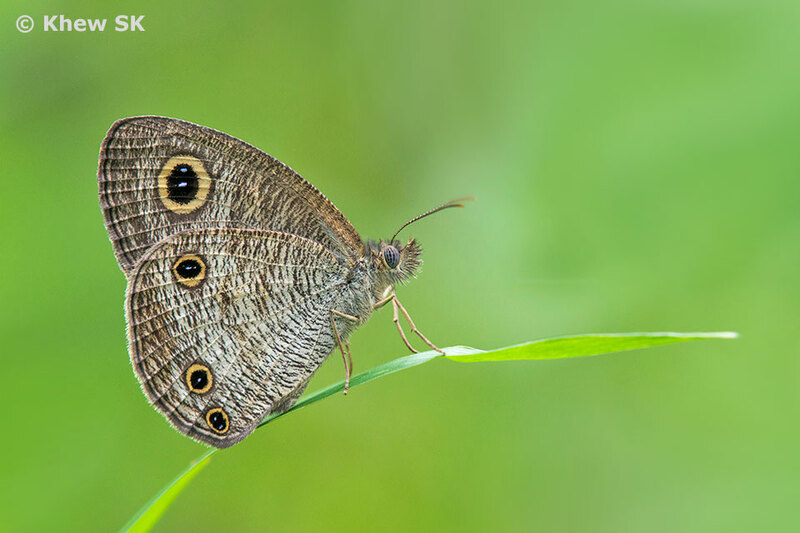 The Common Three Ring is found mainly along the fringes of our nature reserves, where the species' host plant can still be found. Perhaps, as a strategy to support the remaining population of this once-common butterfly could be to allow some areas near the nature reserves to be left wild with Ischaemum muticum, and these areas managed so that this caterpillar host plant is not wiped out by other invasive plant species. 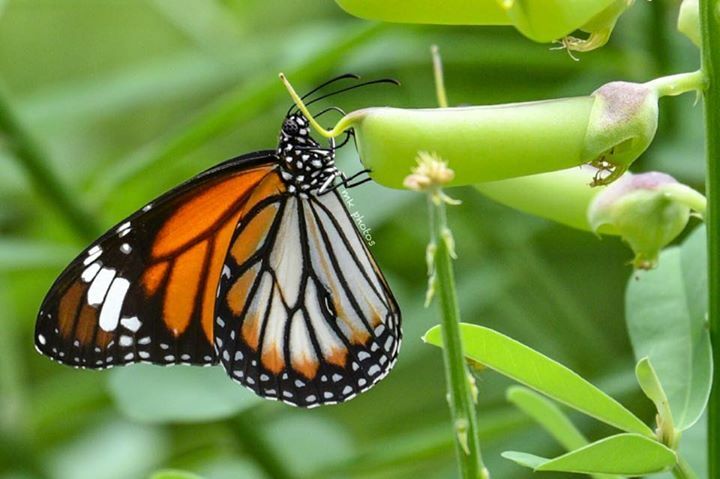 There could possibly be alternative host plants that the species' caterpillars may feed on, and such grasses should also be allowed to survive in the wild. 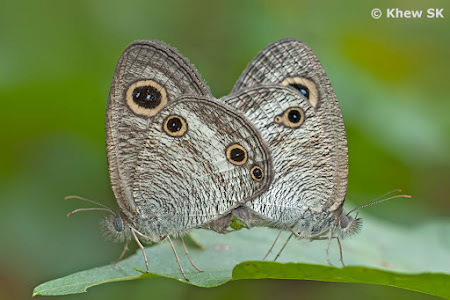 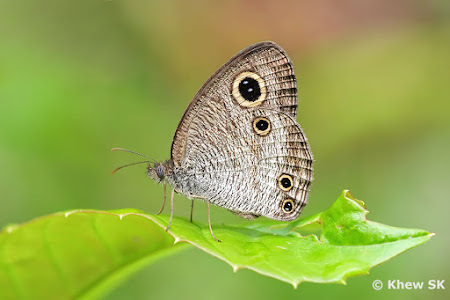 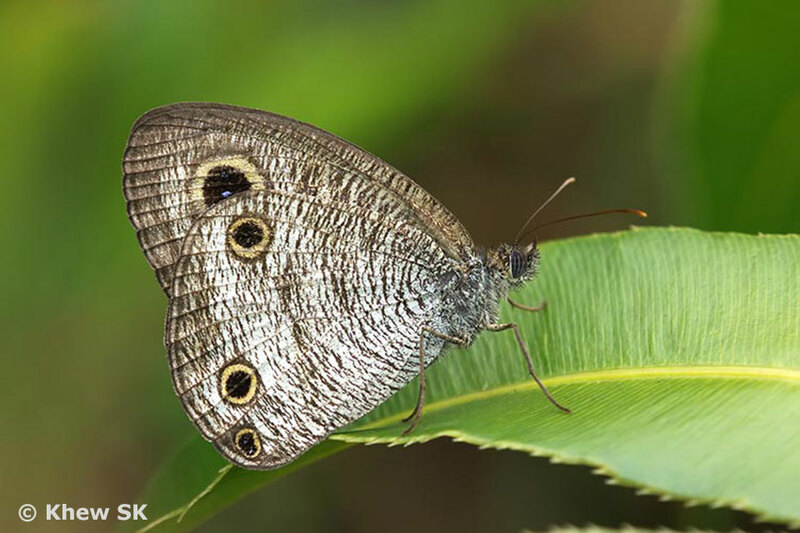 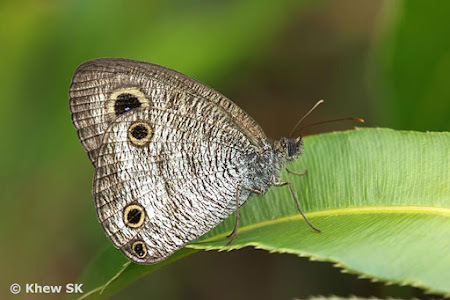 The butterfly is greyish brown on the upperside with a large sub-apical yellow-ringed ocellus with two silvery dots on a black background. The underside is a pale buff brown with fine dark striations on both the fore and hindwings. 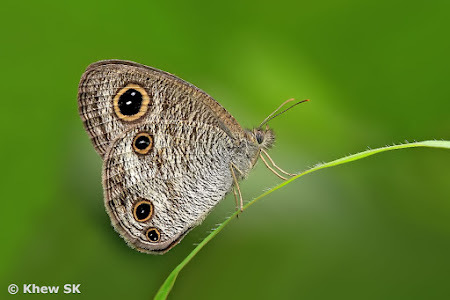 The hindwing has three yellow-ringed ocelli with the tornal pair with two silvery spots. 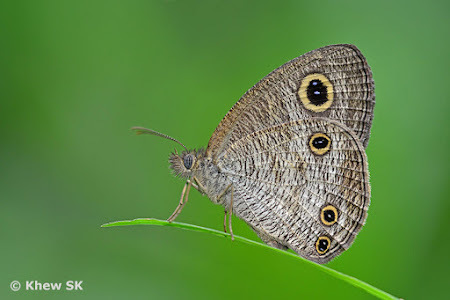 The species of the Ypthima genus have their English common names after the number of ocelli (or eyespots) on the hindwing. 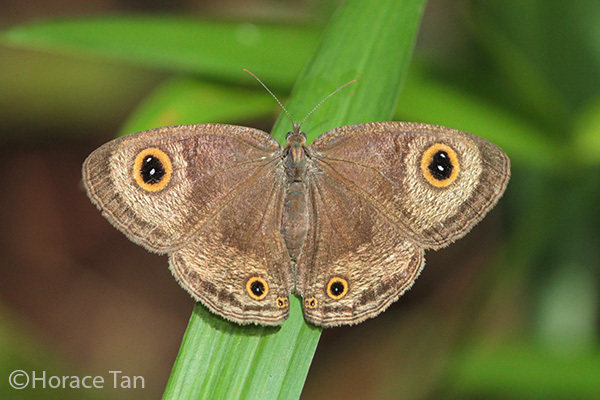 The Common Three Ring is the largest of the species found in Singapore. The species has a rather feeble flight and stays close to the ground, amongst low shrubbery and grasses. 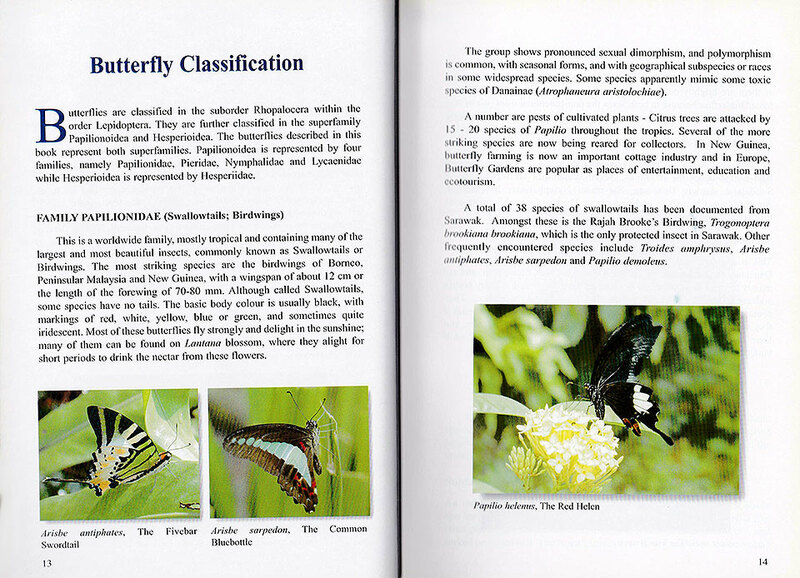 Where it occurs, it is not unusual to find more than one individual flying in the area. In the early morning hours when the sun begins to warm up the environment, the Common Three Ring can often be seen with its wings opened almost flat to sunbathe in the warm rays of the sun. 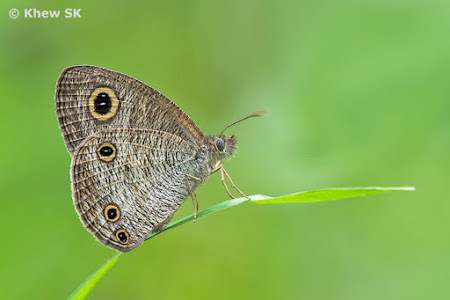 At other times of the day, it usually flutters around the low grasses and perch with its wings folded upright. 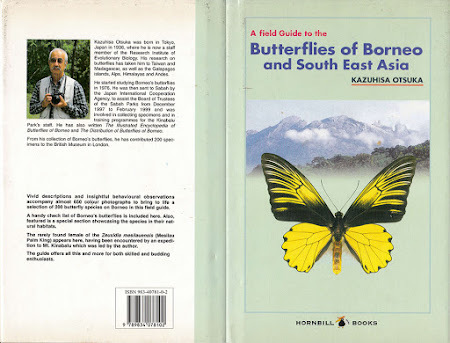 The butterfly is also seen feeding at the ripened fruits of the Straits Rhododendron and wild flowers like the Mile-a-Minute weed. Occasionally, it can be observed puddling at damp sandy ground. 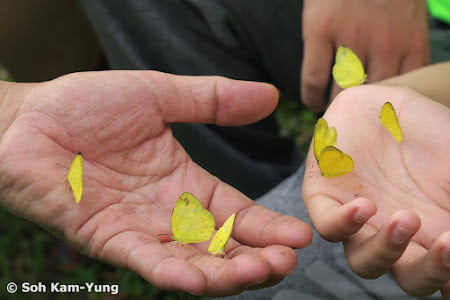 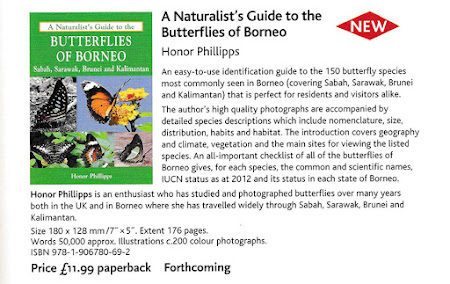 Once known to be as common and widespread as the ubiquitous Common Grass Yellow, the Common Three Ring is fast losing its title as the commonest butterfly species in Singapore. 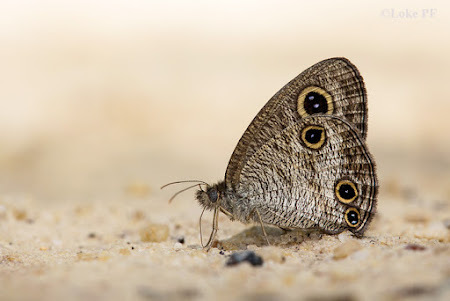 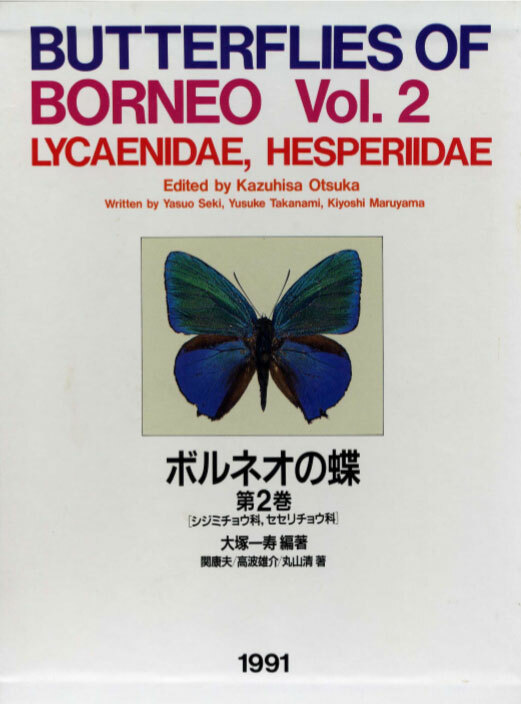 In fact, its other cousins in the genus have taken over the title of being the commonest Ypthima in Singapore. 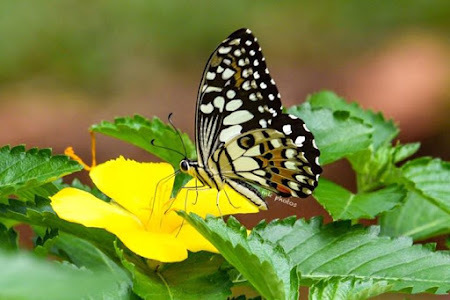 Careful observations should record the remaining colonies in the nature reserves and then some management plan carried out to ensure the survival of this once-common species. 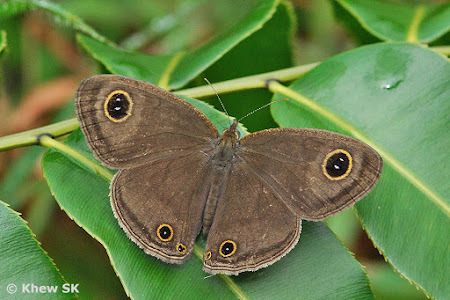 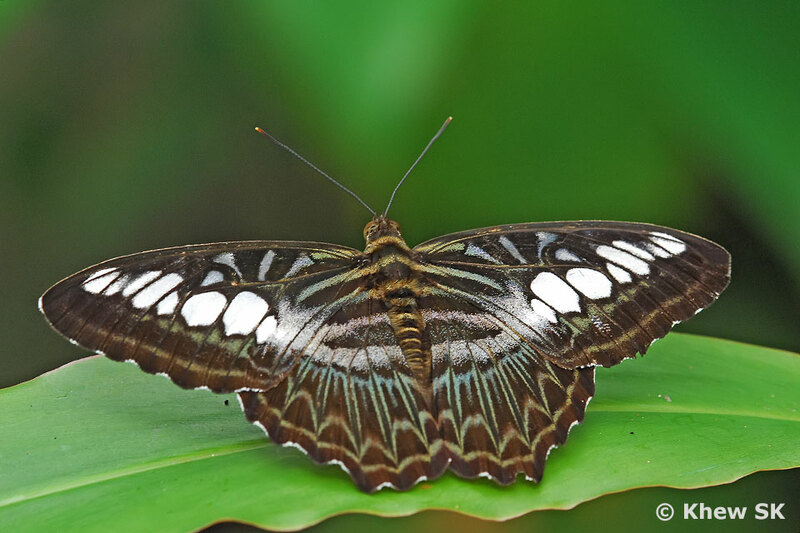 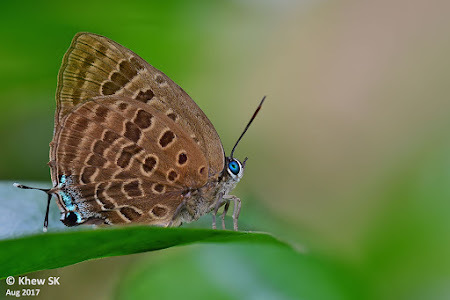 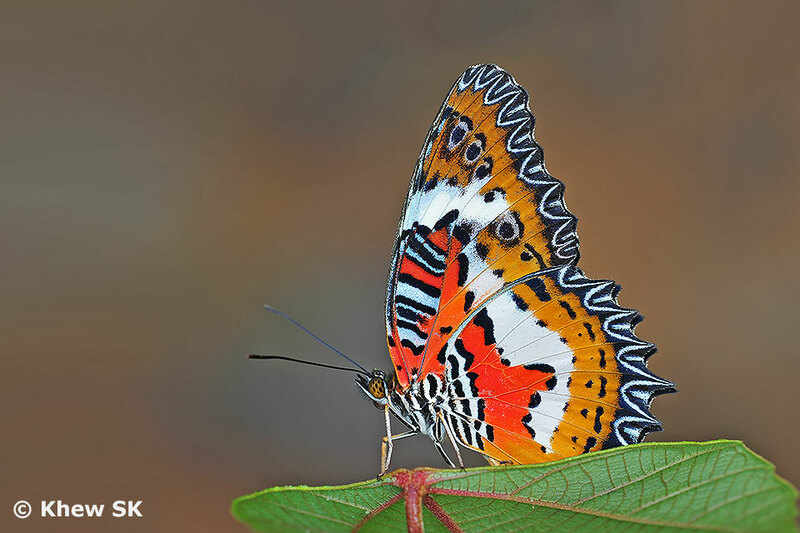 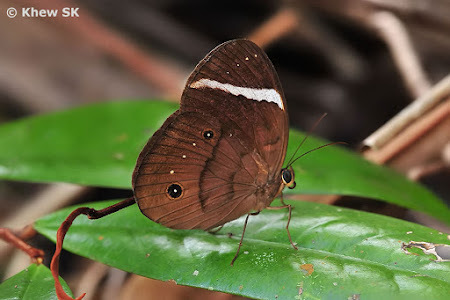 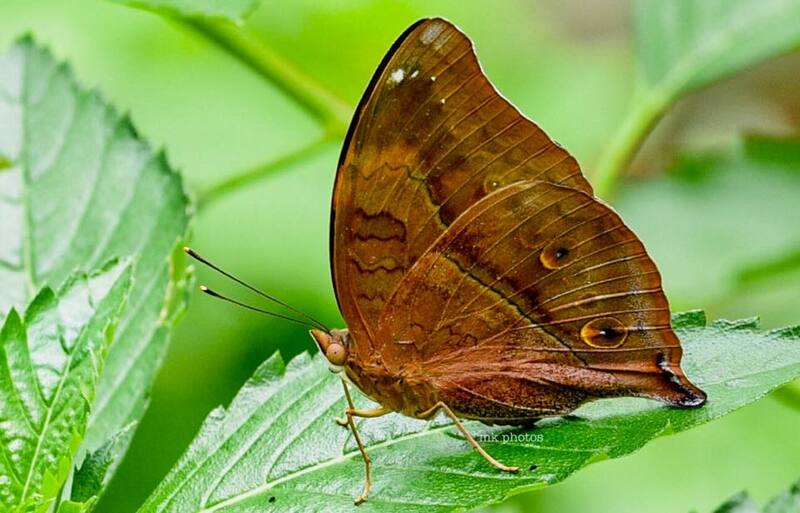 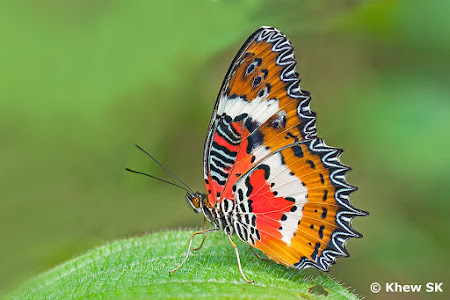 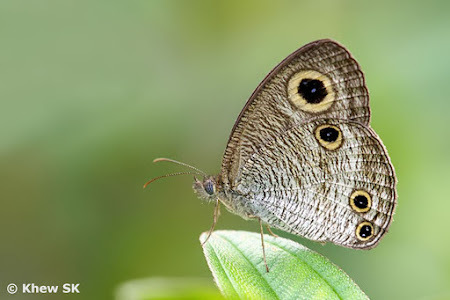 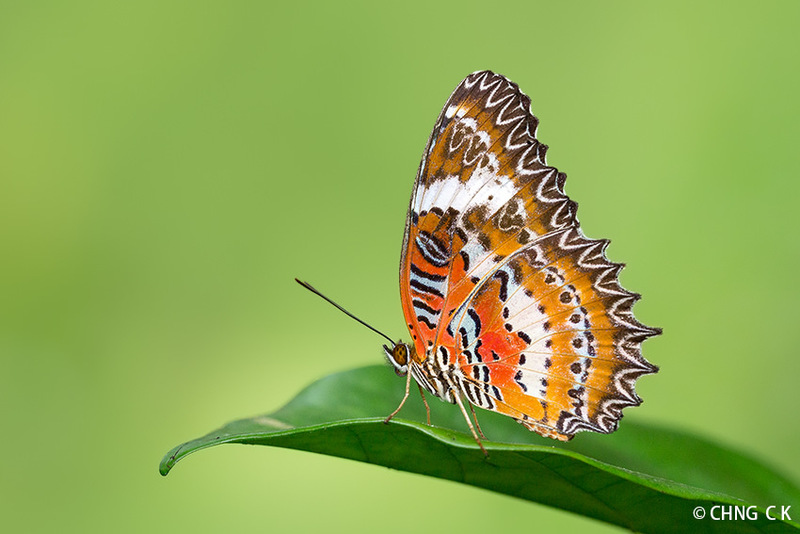 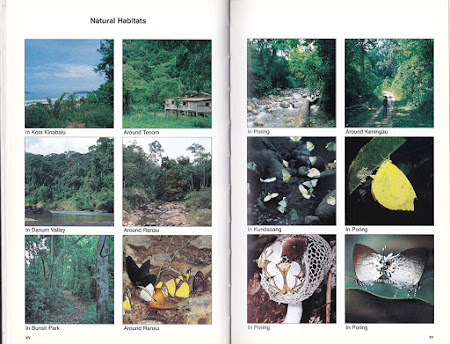 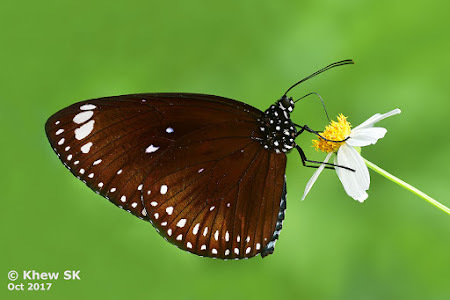 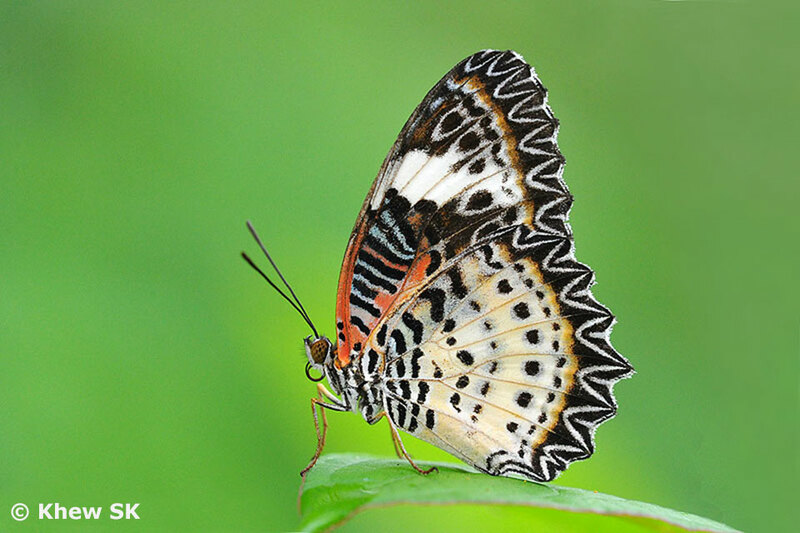 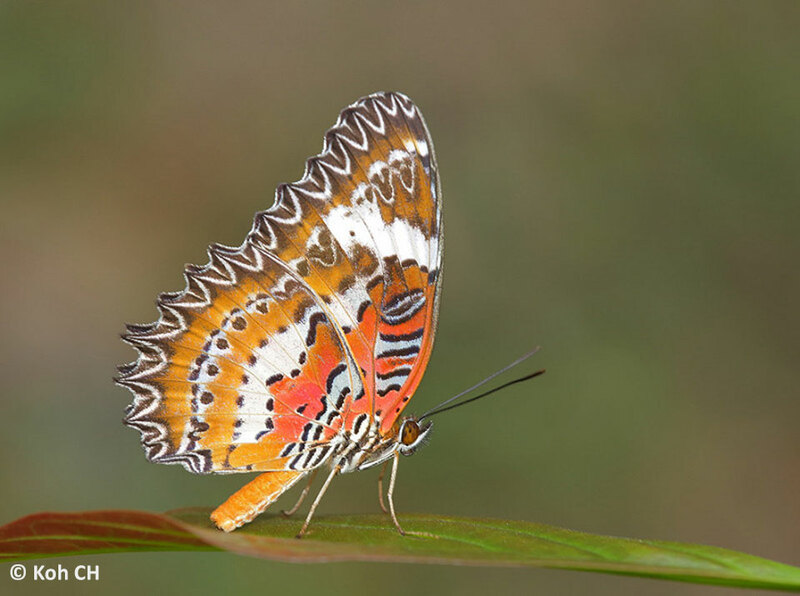 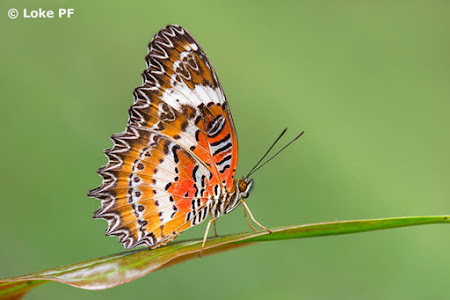 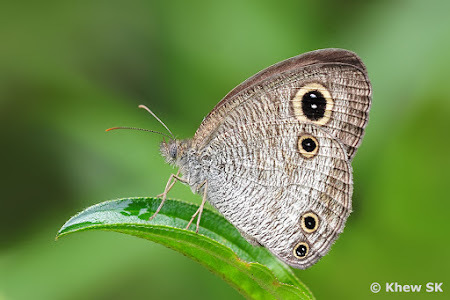 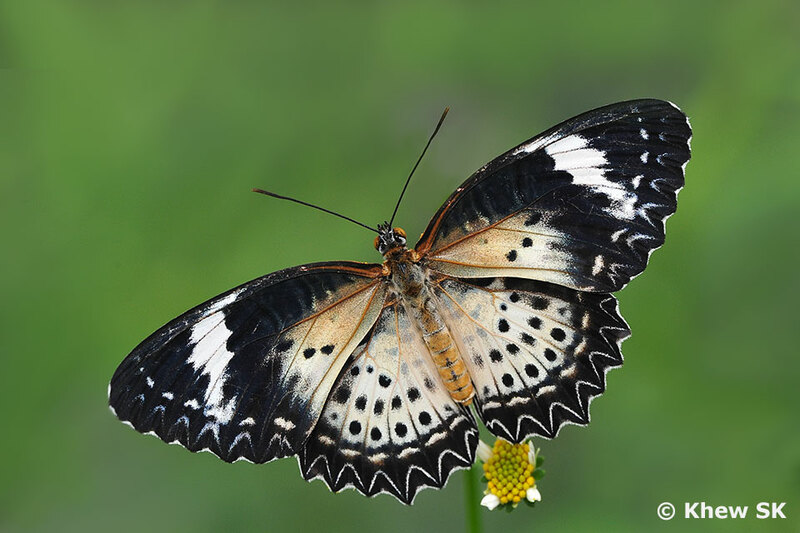 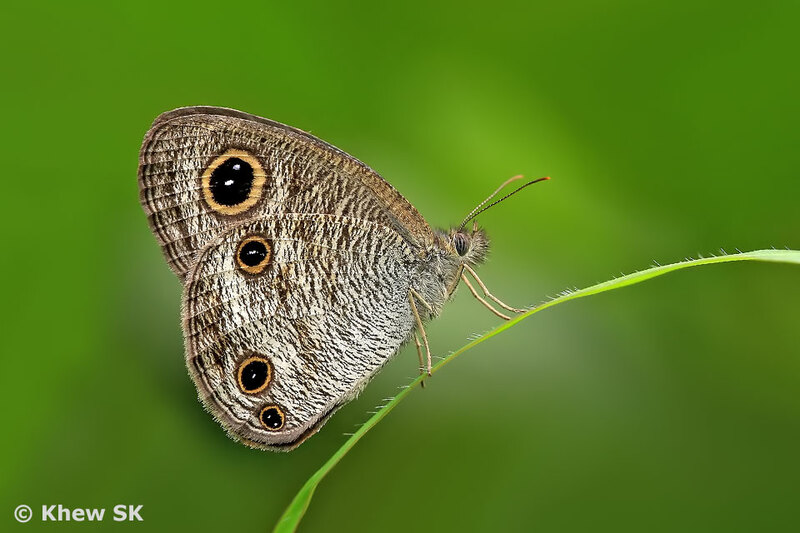 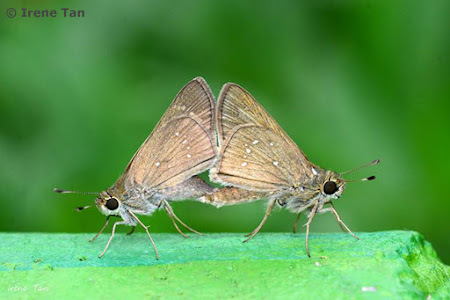 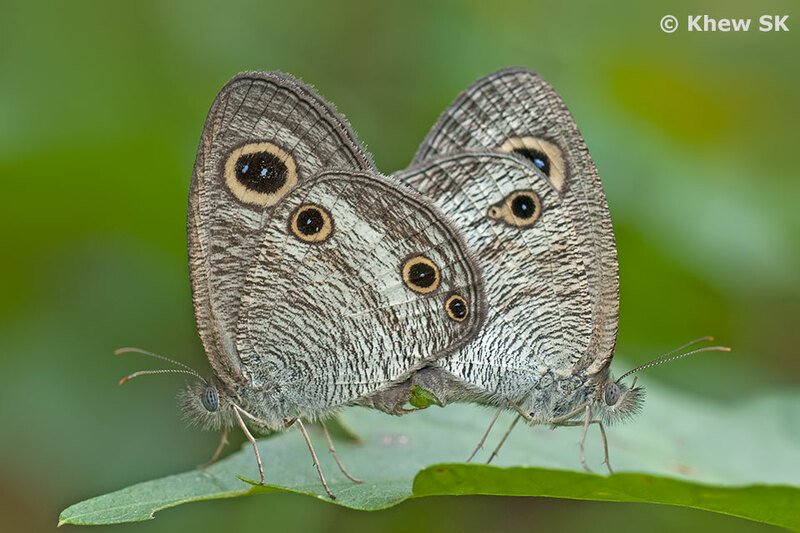 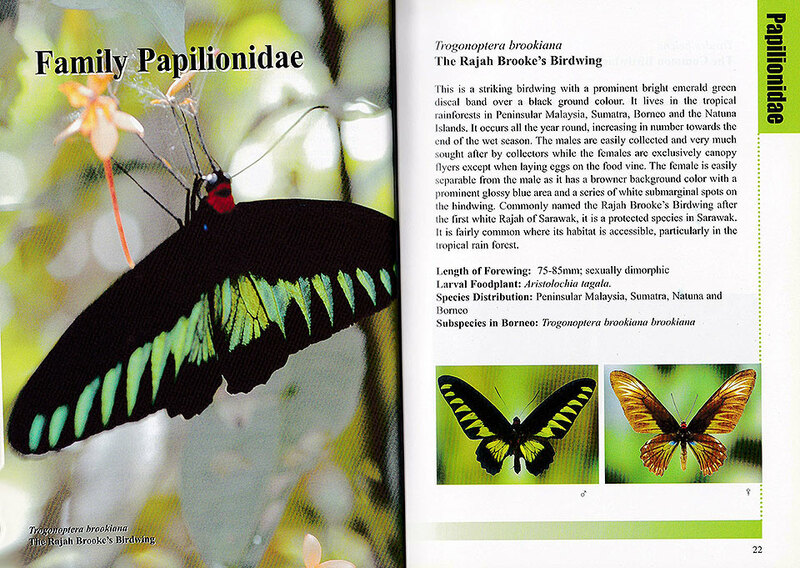 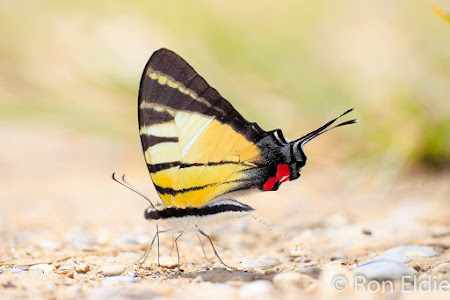 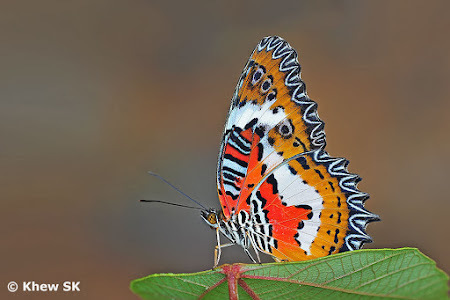 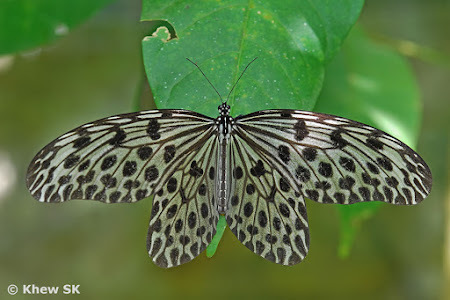 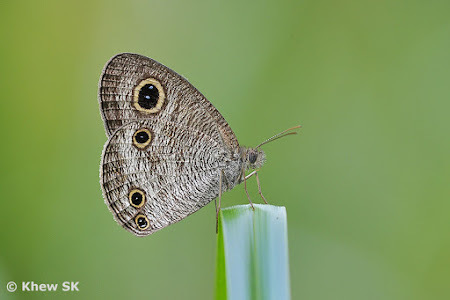 Despite not being an iconic or attractive butterfly species, the Common Three Ring is still very much a part of Singapore's extant biodiversity and should continue to be a species that can be found here. 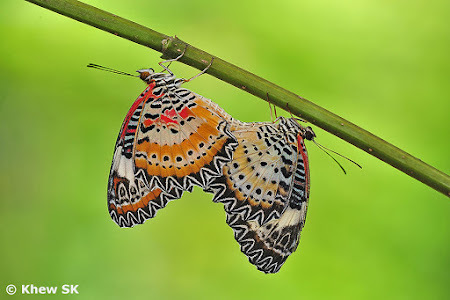 For a 'low profile' species, its caterpillar life history of over a month from egg to adult is considered long. 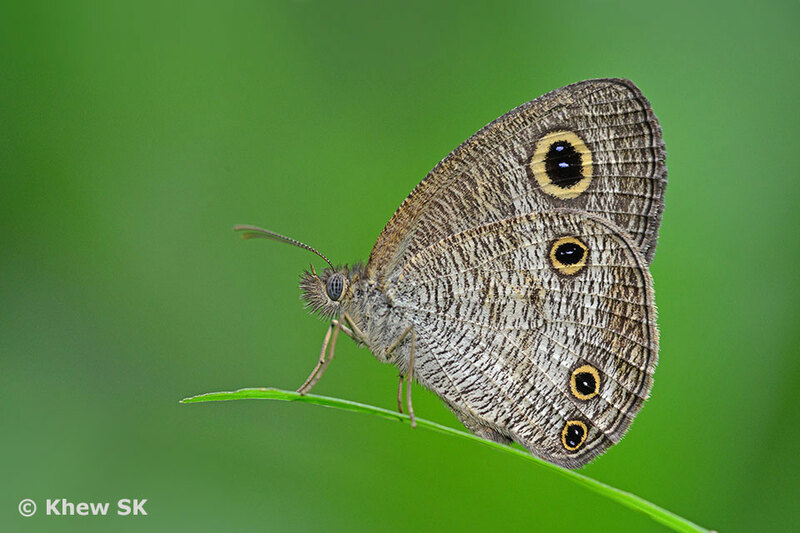 Any disruption to its process of reaching adulthood may render this species into the 'rare' status in future. 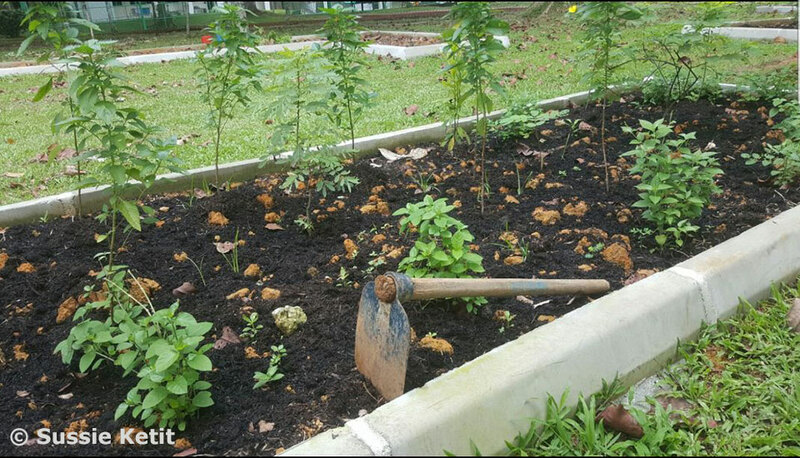 Almost five months ago to the day, the community volunteers participated in a Community Planting Day at Bukit Panjang Butterfly Garden. 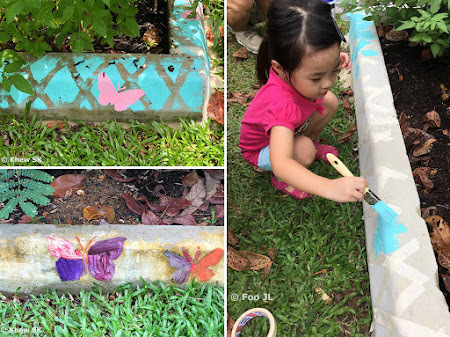 The brainchild of grassroots activist Sussie Ketit, it had the strong support of Mayor Teo Ho Pin, the Member of Parliament for Bukit Panjang and the local community gardeners in the area. With the help of volunteers from the Seletar Country Club group under the capable leadership of Mr Foo JL, the Bukit Panjang Butterfly Garden Phase II took shape. 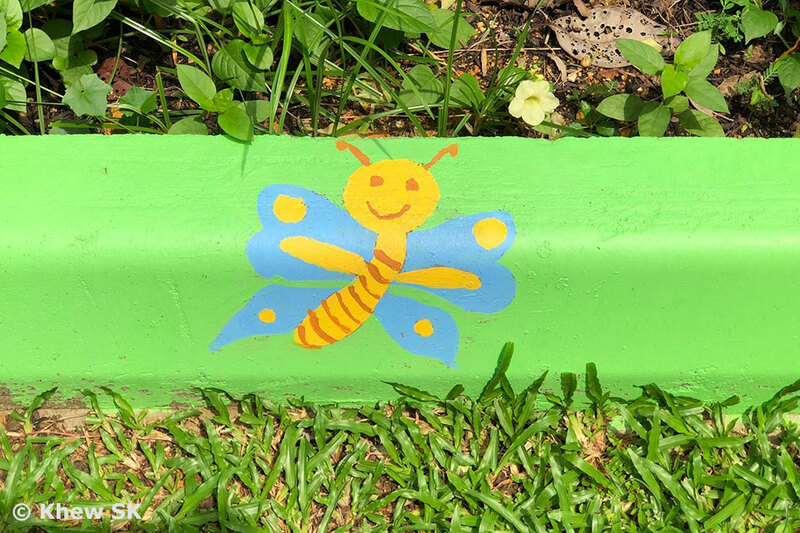 Back on 3 June, the planters were prepared with topsoil and compost and various butterfly host and nectaring plants were readied for the community to do some gardening. Mr Foo's strategy of concentrating the plants in organised planter beds surrounded by concrete kerbs was to eliminate the accidental removal of the butterfly host/nectaring plants (many of which are 'weeds') by maintenance personnel. It was clear that any plants found within the planter beds were intentionally planted there and should not be cleared as 'weeds'. 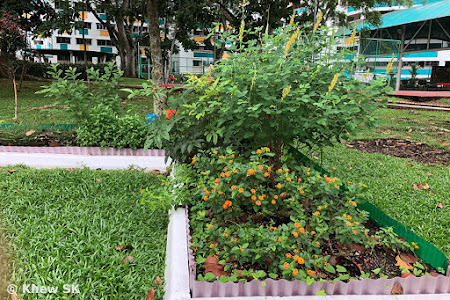 Lush greenery in the planters just 5 months later! 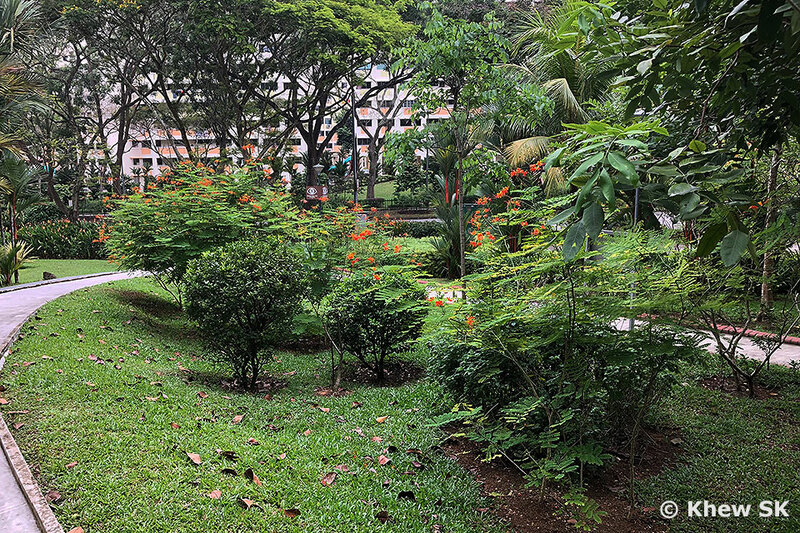 Fast forward five months later, under the tender loving care of the volunteers, especially Sebastian Chia, Lydia Davina Yeo, Cheng Khim, Mr Foo, Evangeline Seah and many other passionate volunteers who spent a lot of their free time tending to the plants and watering them, the Bukit Panjang Butterfly Garden has now attracted many species of urban and even some forest butterflies. 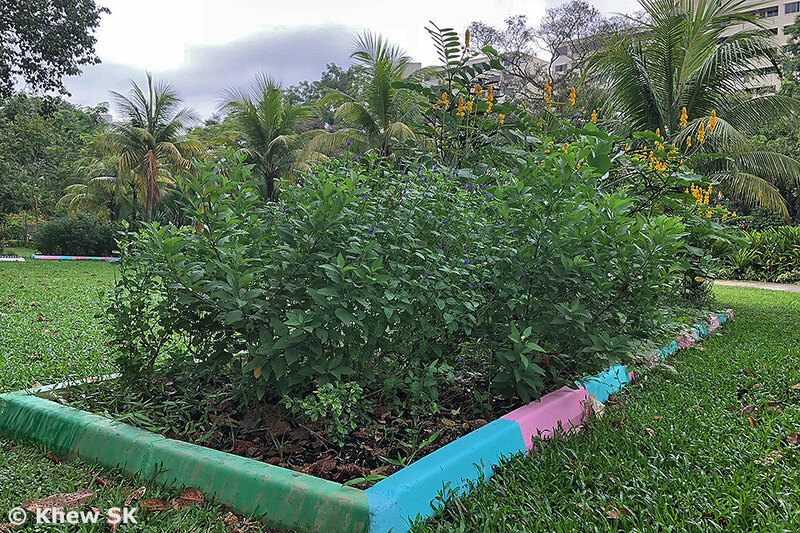 The planter beds are now covered with lush greenery and the butterfly nectaring plants providing sustenance to the visiting butterflies. All grown up, with lots of tender loving care! It is amazing, when you consider the empty planters just five months back. Our equatorial climate is just ideal for the growth of plants and with some effort in maintaining the plants, the results can be quite satisfying. 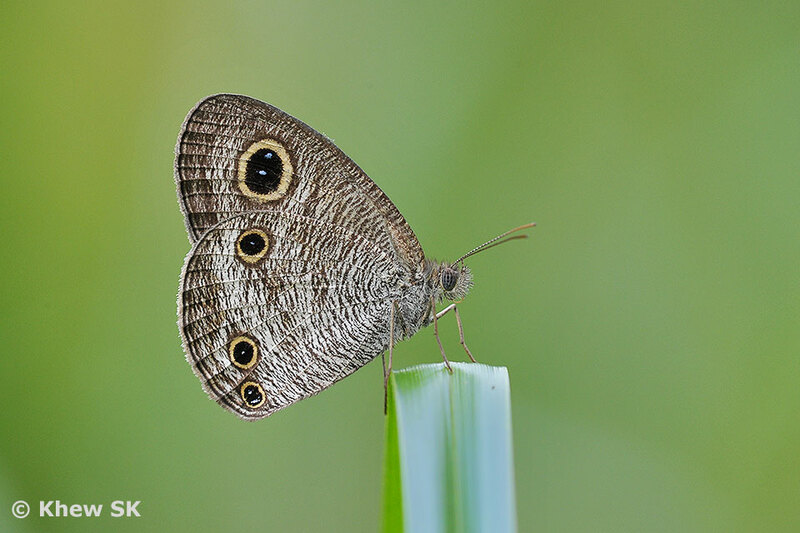 Today, the plants are doing well and the butterfly species count has reached 51 species in just a short five months! Host and nectaring plants aplenty. 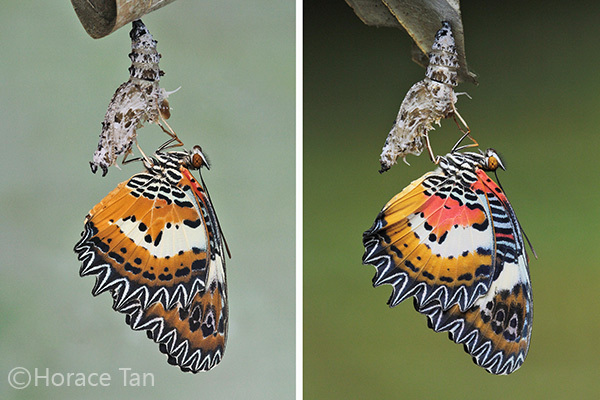 Can you spot the Mottled Emigrant on its caterpillar host plant? 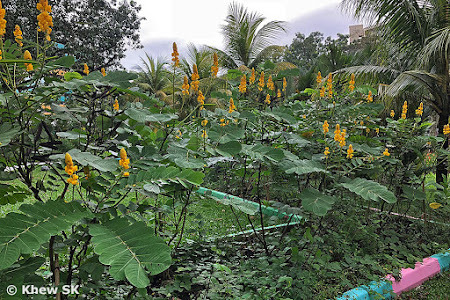 The mix of plants ranged from host plants like Rattlebox Weed, Crown Flower, Seven Golden Candlesticks, Blood Flower, and many more. 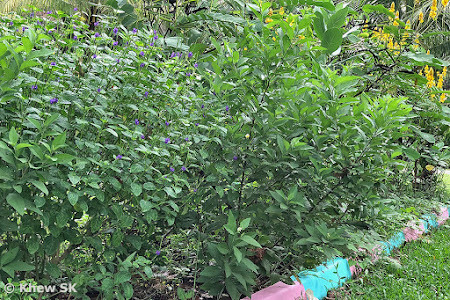 Nectaring plants included Lantana, Red Tree Shrub, Purple Snakeweed, Spanish Needle, Bandicoot Berry, and so on. 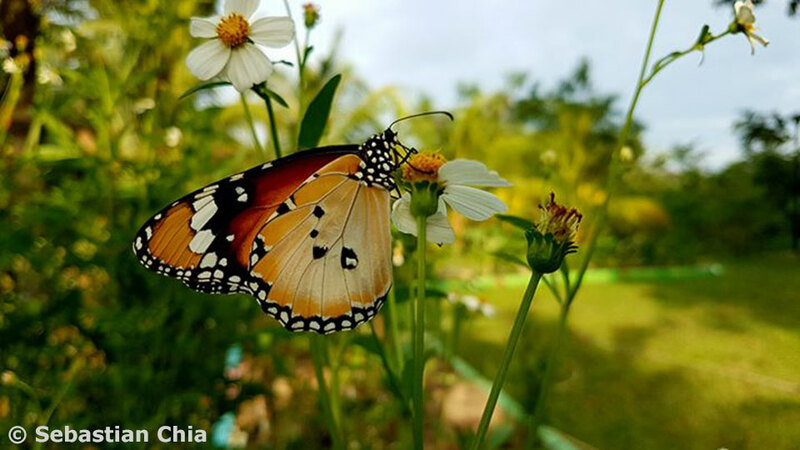 In the early morning hours and on a bright sunny day, a visitor can see many butterflies fluttering around the plants, feeding and laying eggs on their preferred caterpillar host plants. 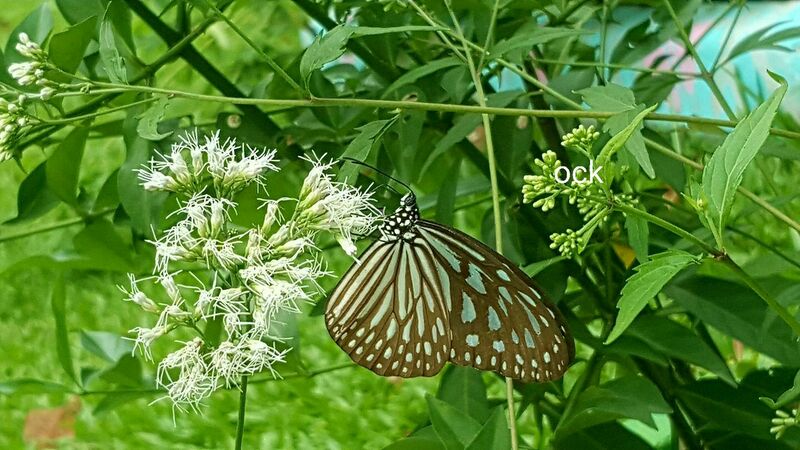 The alkaloids in the Asteraceae species, Eupatorium squamosum that was cultivated in the planters appear to be as attractive to the Danainaes (Tigers and Crows) as the Indian Heliotrope and the Rattlebox Weed plants. 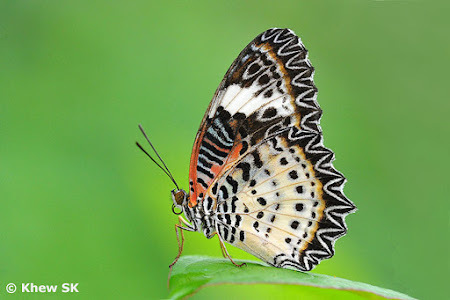 Amongst the Danainae species observed at this plant's flowers are the Striped Blue Crow, Blue and Dark Glassy Tigers and a Blue Spotted Crow. 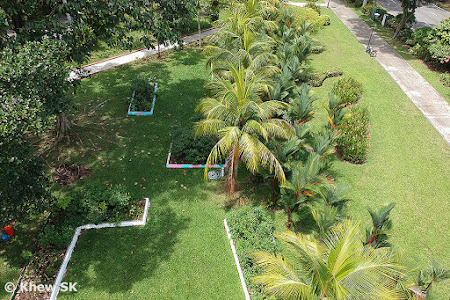 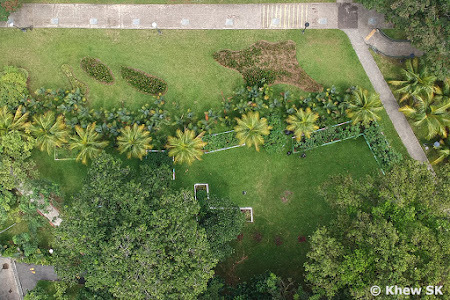 The success of this small butterfly garden, spanning about 150m by about 50m, is probably due to its proximity to the Central Catchment Nature Reserves. The park connector network that links up this area to the biodiversity-rich nature reserves also helps as a 'bridge' to facilitate butterflies' movements along nature-friendly 'highways'. 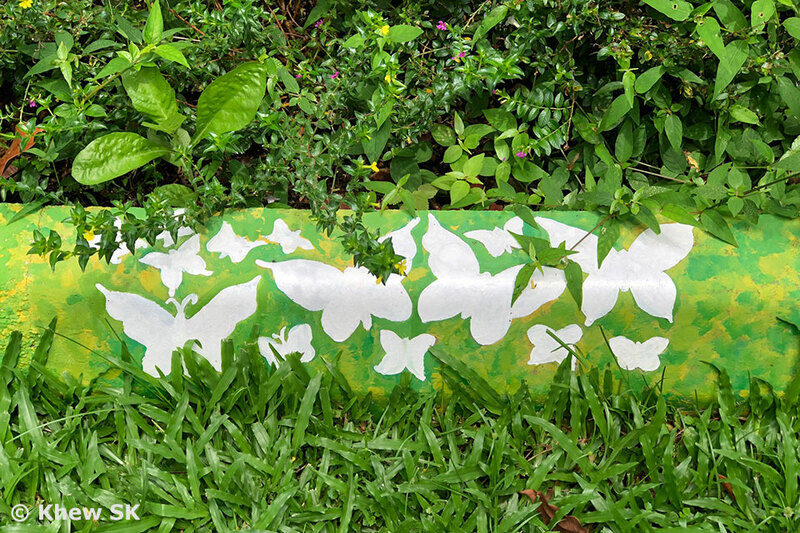 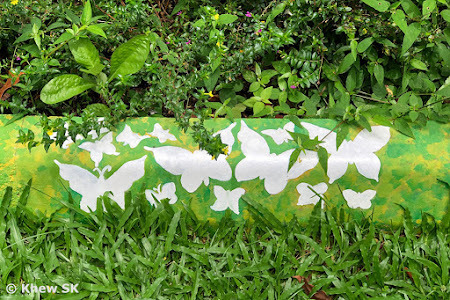 Although the Bukit Panjang Butterfly Garden is located just about 10-15 m away from the busy Bukit Panjang Road, air pollution and the movement of vehicles is mitigated by rows of buffer plants that shield the butterfly garden. 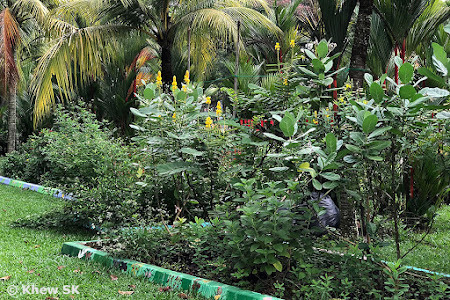 Immediately next to the 3+3 lane major arterial road is a green roadside planting verge that features Heliconias and other shrubs. 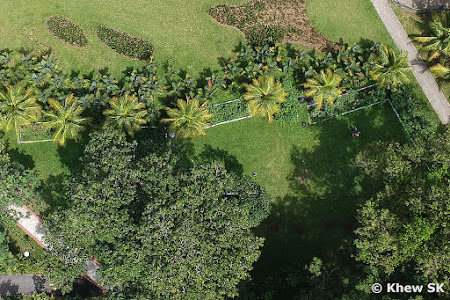 Further in, two rows of Lakka Palms and Coconut palms, with more Heliconias buffer the butterfly garden. 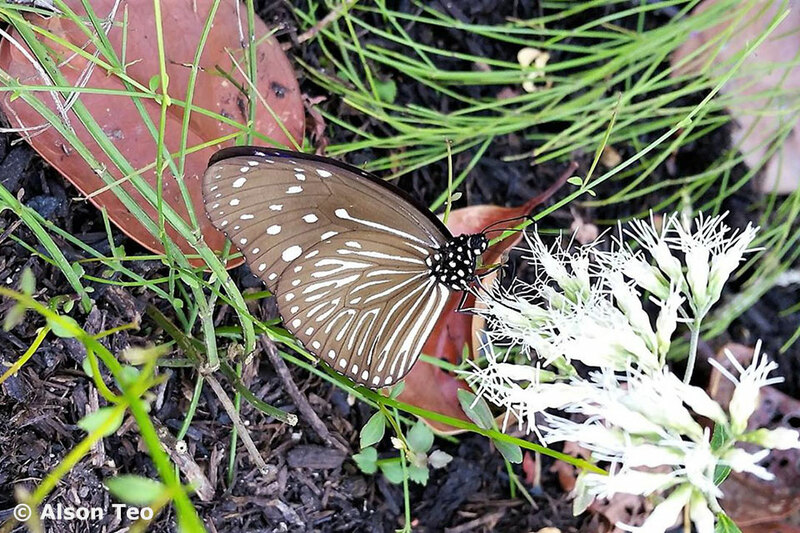 The assortment of plants in the planters have been effective in attracting butterflies. In a further attempt to beautify the planters, the boring precast concrete kerbs are given a fresh coat of paint. 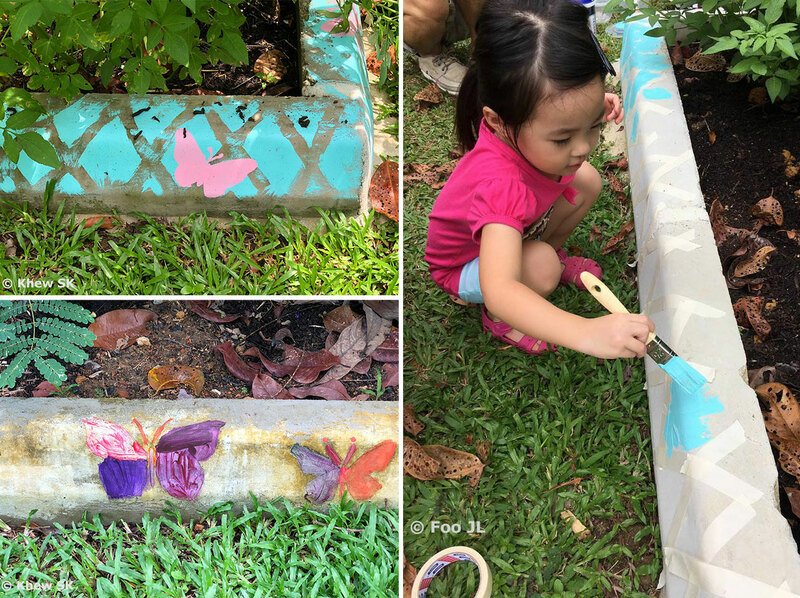 Volunteers, young and old, helped to add a splash of colours, in the form of stylised butterflies and plants to the kerbs. 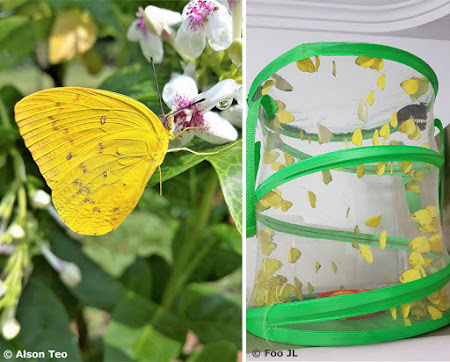 The community volunteers are trained to breed caterpillars found on the host plants at the butterfly garden, and the eclosed butterflies are released back into the garden to sustain the population of butterflies there. 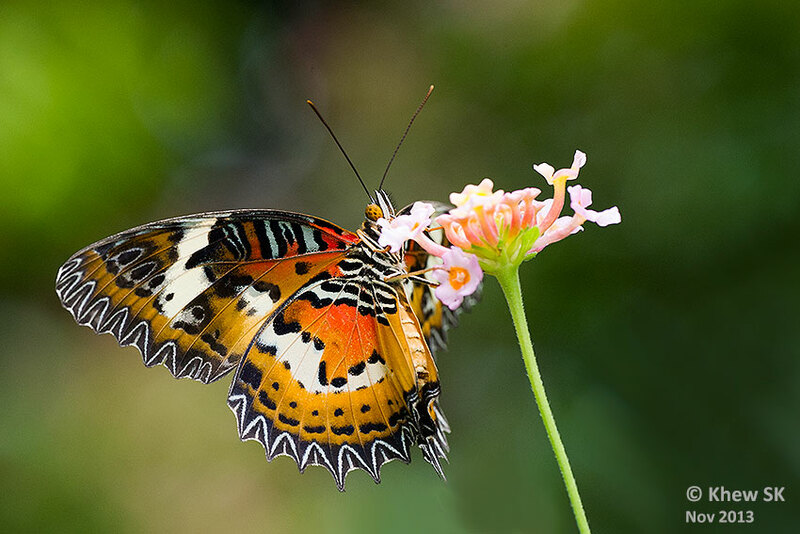 The Town Council has been requested not to spray pesticides at the butterfly garden to ensure that the caterpillars and butterflies are not killed. 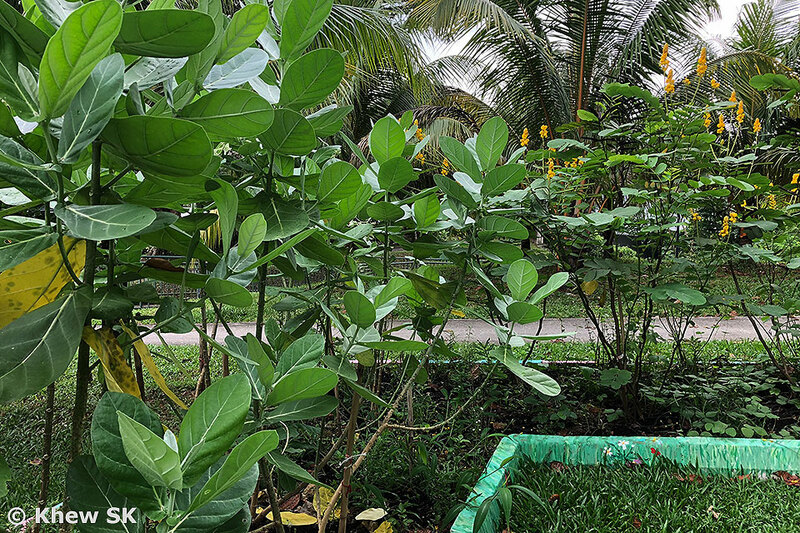 The gardeners who are maintaining the area are also taught how to make compost from the dead leaves that are collected from the trees, and to practise sustainable gardening. 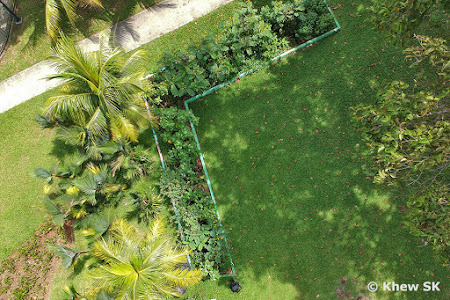 The compost is then used for the planters to help sustain healthy plant growth. 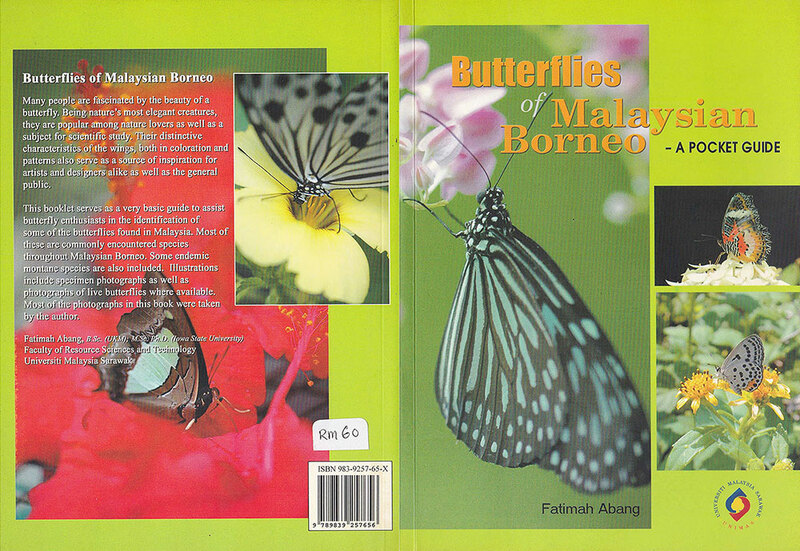 The community education and awareness efforts also help to inform visitors to the butterfly garden not to kill the caterpillars and butterflies as they are part of our natural biodiversity. 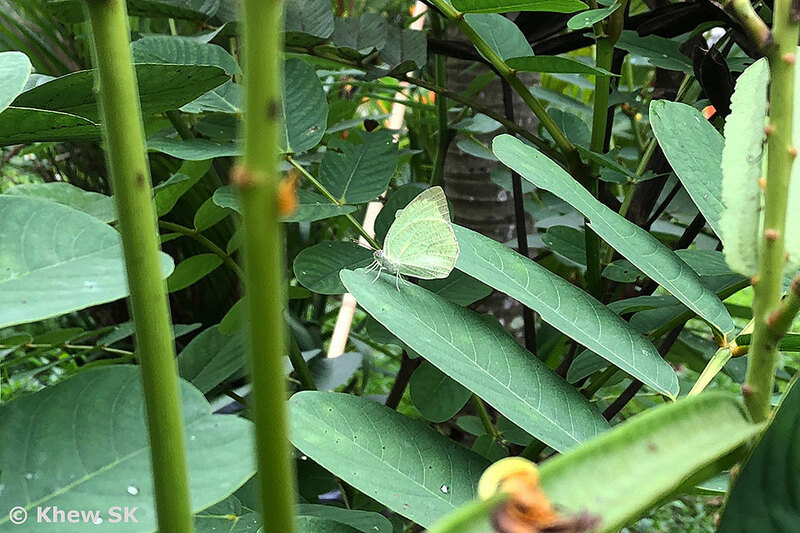 So the next time you are in the Bukit Panjang area, do drop by and take a look at the Bukit Panjang Butterfly Garden and see how many butterflies you can count fluttering amongst the shrubbery. 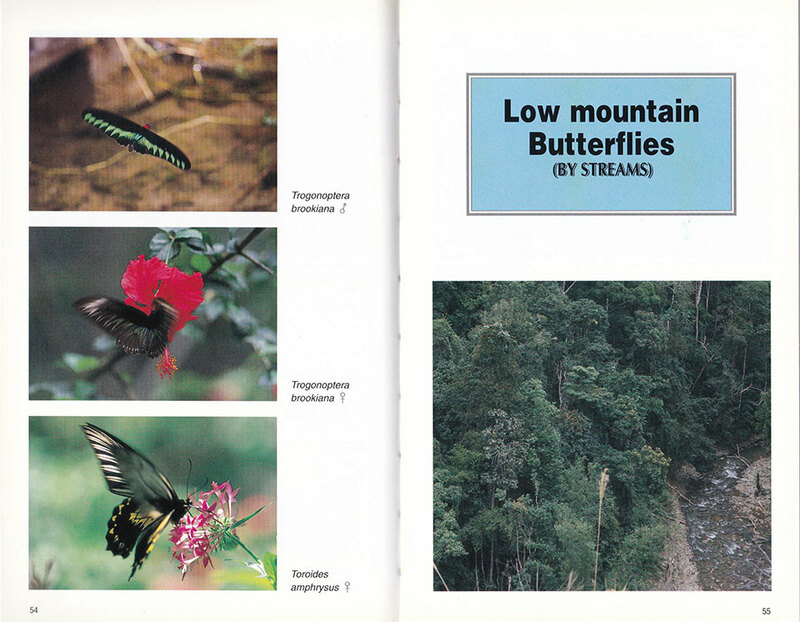 Here you see a variety of butterflies that can be found at the butterfly garden. 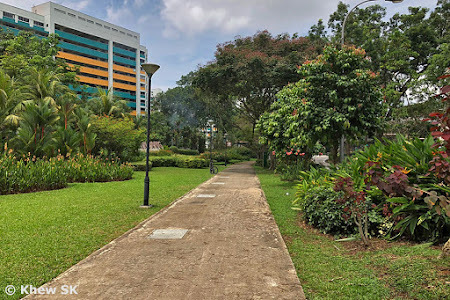 There are many bus services that bring visitors to the bus stop along Bukit Panjang Road. 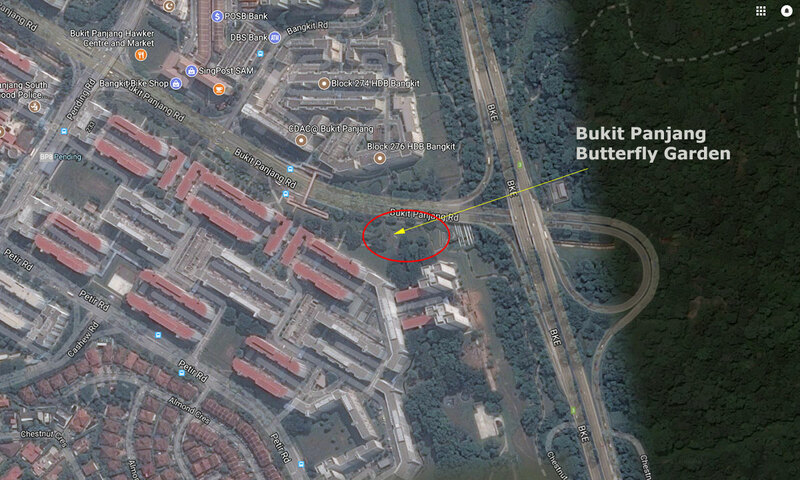 Alight just in front of Blk 222 and walk eastwards towards the Bukit Timah Expressway (BKE). 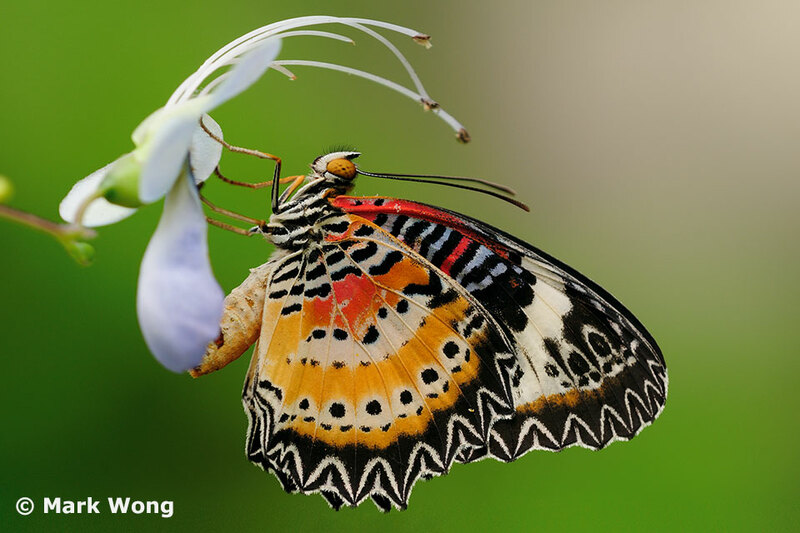 For those taking the MRT, alight at Choa Chu Kang MRT station (NS4), hop on to the LRT and alight at Pending Station (BP8). 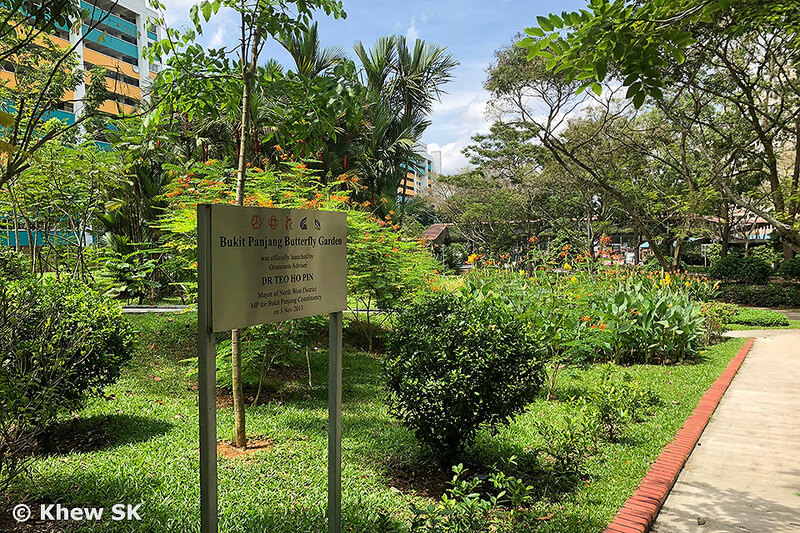 Drivers can access the HDB carpark via Petir Road and park your car near Blk 213 (carpark CKBJ8), where parking is free on Sundays and Public Holidays.